I killed it inside my house near the screen door. Thanks for the photo. 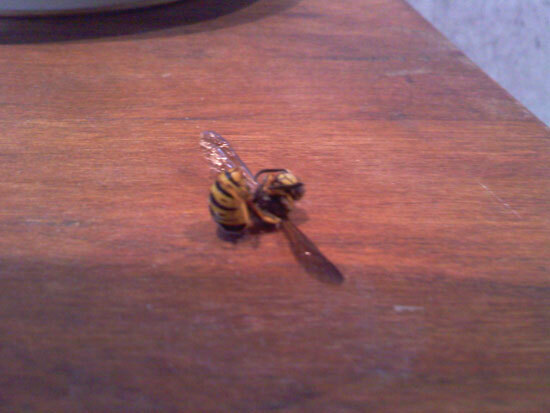 Unfortunately, this is not a Cicada Killer but rather a type of wasp known as a Yellow Jacket. These are in the family of wasps known as Vespidae. I would be very interested in any and all sigthings of Cicada Killer Wasps north of Massachusetts.